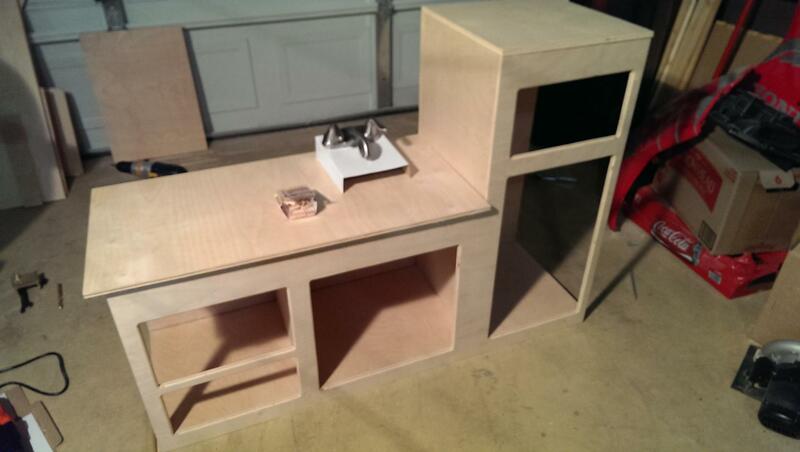 Here is a play kitchen I made for my daughter, mostly as an excuse to get a new router and do some wood working. 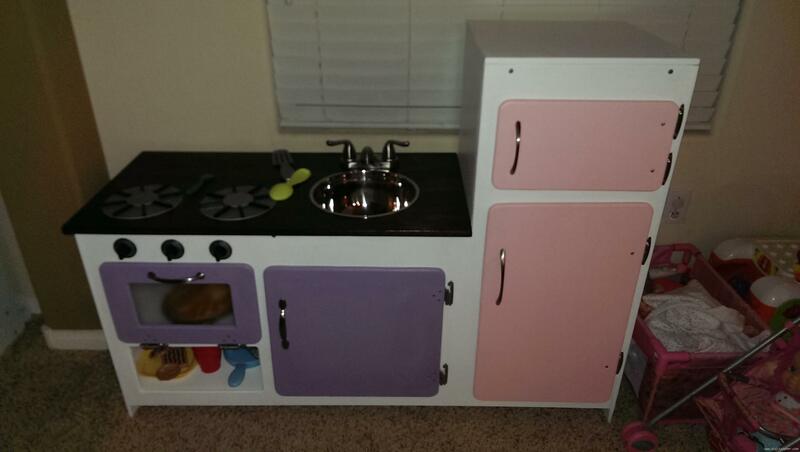 The original plans are from Play Kitchen Project Plan, but as usual I diverged from them immediately only mostly keeping the layout and size. For example, I was a fan of making it easy to take apart, but I didn't like the slot and hook on the sides. The sink is just a stainless steel pot and the faucet is the cheapest one I could find. Of course, it's not connected up to anything. 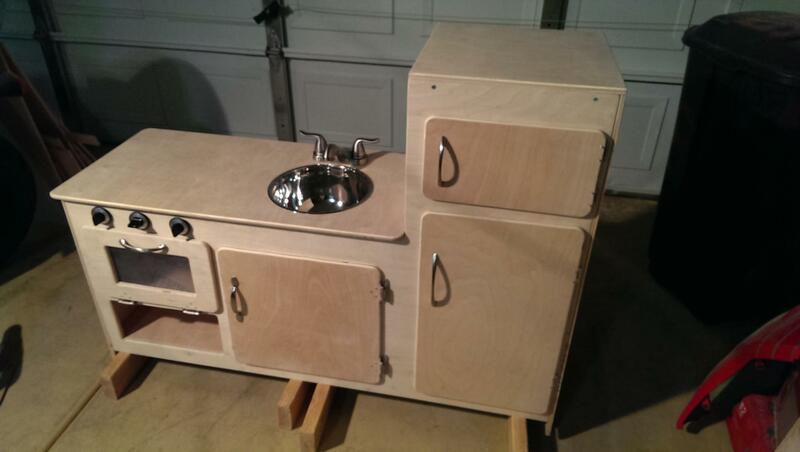 The burners are made out of wood pieces basically that I just glued together to look like some sort of burner. They are covered with a nice thick coat of acrylic. Of course, the color scheme has to make sense for the intended demographic. 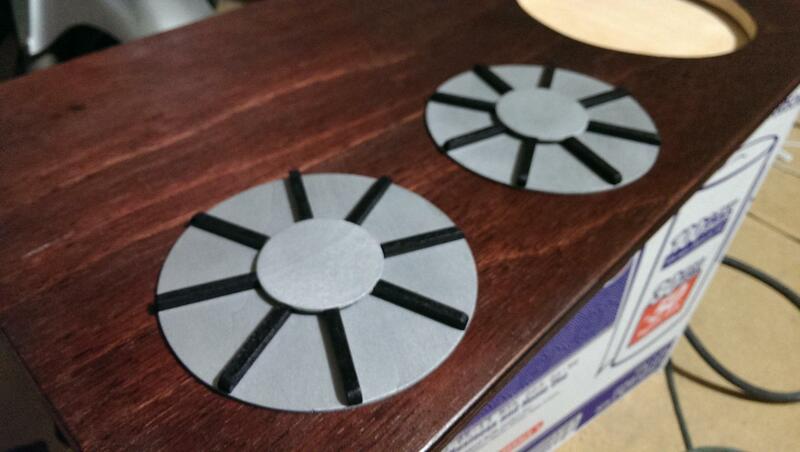 Some acrylic for a see through oven door, some turntable oven knobs, and handles for the doors make a nice touch. Ready to go for hours of play.